Masonry is a science, it’s an art, and it’s done with muscle memory. 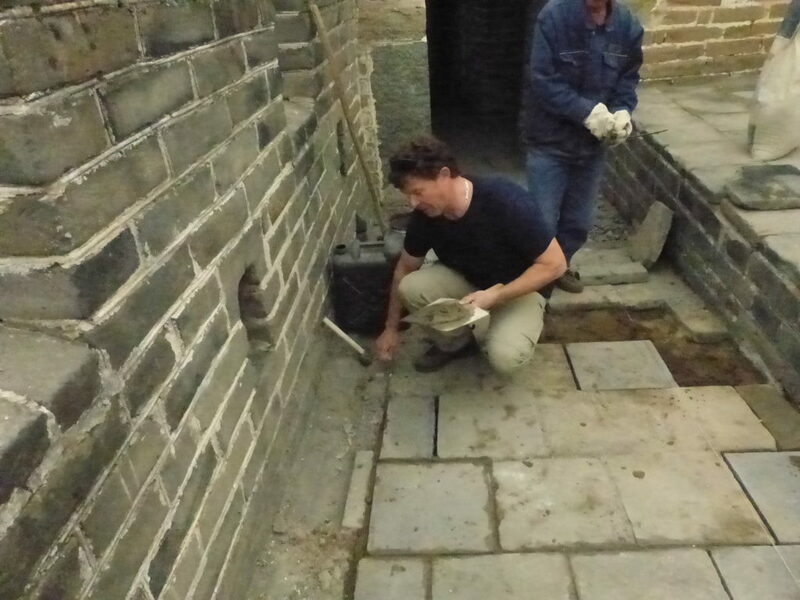 When I met a group of Chinese masons on the Great Wall of China I couldn’t speak Chinese with them but I could pick up one of their trowels and pointing tools and demonstrate a comfortable dexterity with a tool that most people would find tricky to use. A pointing tool is a long, thin and narrow slip of metal connected to a handle and you balance a line of cement on it to place in joints between bricks. Loading the pointer and twirling it around isn’t easy if you haven’t handled one a lot, so that was my way of communicating with them. And with that little bit of masonry-speak, they waved me in to let me do some with them. Near the 14th of 22 towers on the Mutianyu section of the Great Wall is a seam between ancient stones that a Canadian repaired. A small pleasure in the life of a mason. By the way, I’ve read that the original formula for mortar used on the Great Wall was crushed marble, lime and sticky rice.